At Concept Virtual Design we design and supply latest trends and new products from high quality bathroom manufacturers to help customers across Ascot and Sunningdale to find their perfect style. One of our latest bathroom ranges is the GROHE Grandera collection, offering a stylish and flexible array of chrome and gold bathroom furnishings to uplift your bathroom design. The Grandera range has a classic look, mixing modern simplicity with the grandeur of vintage, and working seamlessly with a number of different bathroom design styles. GROHE’s StarLight technology means that the chrome finish of the Grandera fittings are scratch and dirt resistant, retaining their shine and providing a clean, stunning look. We regularly work with customers in Ascot and Sunningdale to incorporate the latest products and fixtures, such as the GROHE Grandera collection, into their bathroom and shower design, from en-suites to wet rooms. 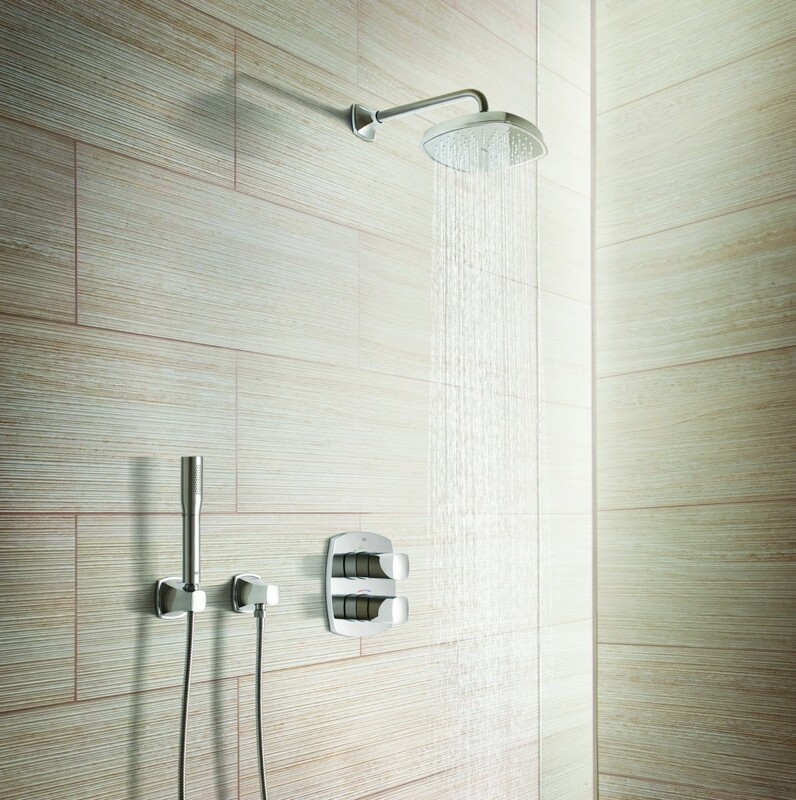 The Grandera range includes thermostatic shower mixers, basin taps and bath spouts as well as combination mixers and free-standing faucets. Grandera fixtures come in chrome or chrome and gold designs to suit a number of different bathroom styles. All GROHE products come with the assurance of top quality technology, design and sustainability. Our exclusive bathroom and shower room interior design services are available in the Ascot and Sunningdale area and can help you to create your perfect bathing space while our setting out service ensuring that the construction, installation and decoration processes run as smoothly as possible. Get in touch with us at www.conceptvirtualdesign.com for more information. This entry was posted in A3 Colour Design Service, Grohe Spa, Luxury Bathrooms, Luxury Interior Design, Luxury Wet Rooms and tagged Ascot bathroom design, Ascot bathroom interior design, Ascot bathrooms, Ascot interior design, Ascot shower design, Ascot showers, bathroom design, GROHE bathrooms, GROHE Grandera, GROHE showers, GROHE taps. Bookmark the permalink.